Fiorentina ended their Malta training camp in style as they delighted their Maltese fans with two comfortable victories over local representatives Gżira United and Hibernians to lift the Visit Malta Tournament trophy at the National Stadium. Stefano Pioli’s men produced some eye-catching football during the triangular tournament with their star players Federico Chiesa, Luis Muriel and Cyril Thereau producing some outstanding attacking play to reward the hundreds of fans who made the trip to Ta’ Qali despite the poor weather conditions. The tournament was decided in the third and final match when Fiorentina played Premier League leaders Gżira United. Fiorentina needed early goals to see off Maroons 2-0. The Viola took the lead after two minutes when Sacha Borg inadvertently deviated Bryan Dabo’s shot into his own net before Jordan Veretout doubled their lead on 17 minutes. Gżira did try to put in a fight and they were unlucky not to pull a goal back when new signing Justin Mengolo was denied by the upright. Luis Muriel was handed his debut by Fiorentina coach Stefano Pioli in their opening match against Hibernians in a three-pronged attack alongside Federico Chiesa and Cyril Thereau. 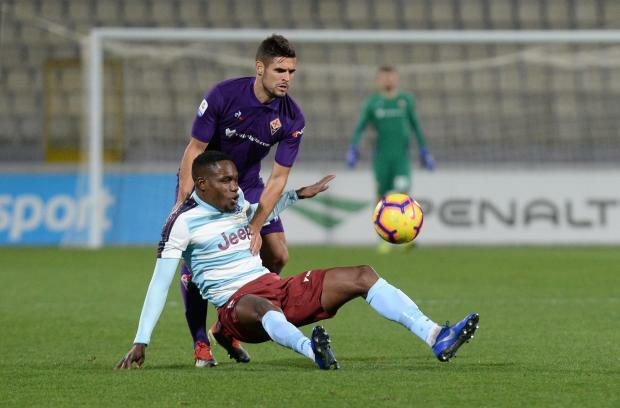 As expected Fiorentina bossed the proceedings and they took just six minutes to break the stalemate with a firm drive from midfielder Marco Benassi. The match also marked the first goals for Muriel in a Fiorentina shirt as on 16 minutes he sent Hibs goalkeeper the wrong way from the penalty spot after Chiesa was upended in the area while a minute later he grabbed his second with a firm drive from the edge of the area. The Colombian striker completed his hat-trick on 38 minutes after he was put through by Chiesa. Prior to that Thereau had added a fourth when he beat Briffa from close in after a good move while Benassi added a sixth goal just before the final whistle. There was a touching gesture by the fans present for this match as on 13 minutes they held a minute applause in memory of former Fiorentina skipper Davide Astori who passed away last year. In the opening match of the day, Gżira United had the better of a youthful Hibernians side by two clear goals. A Zach Scerri penalty, after 20 minutes of play, put the Maroons ahead before Sacha Borg sealed the win for Darren Abdilla’s team with a firm header on the half-hour. In this match, Gżira paraded two new overseas players, namely French striker Sofian Domoraud and Belgian midielder Jordy Lokando who is currently on trial at the club.